I’ve tried a few trainers in the last couple of years, to help me with my nervous Border Collie. Most left me with a training list as long as my arm that left little room for actual fun and always left me feeling like I was ‘fighting’ against her. They were usually successful, initially, but as they were so at odds with her natural behaviour none of them ever became her default behaviour and both of us would slip in to old habits. Sarah came and she taught us how to understand Luna, how to engage with her natural behaviours in a way that was suitable for a home environment and still satisfied Luna’s desires. She taught us how to observe and listen to Luna and showed us ways to communicate with her so that she always felt in control of herself. What we now have is a chilled out dog that is just a joy and pleasure to be around. Her reactivity is all but gone and when I look at her now, all I see is a genuinely happy dog. Not scared or on edge, just happy. Our bond has grown so much but not in a way where she is dependent on me and, therefore, scared to be without me- she seems to know that I understand her now and she can just relax and enjoy the time we spend together. I also attend Sarah’s puppy foundation class with my other dog. 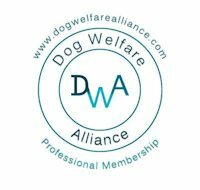 Its a lot of fun and Sarah does an excellent job of helping you to understand how your dog sees the world and prioritises training to be most beneficial. As a person Sarah is, possibly and probably, the nicest person you will ever meet. Her calmness is so reassuring and she genuinely delights in every small progress Luna and I make together. If you have read this far then its clearly important to you that you find the right trainer for your dog- I can assure you that you have. I cannot give Sarah enough praise. We found Sarah’s puppy training classes fun and helpful. Charlie our cavapoo had a great time meeting new friends! Sarah is enthusiastic and keen to help each puppy settle into the class. She will also go out of her way to help with any problems and answer questions in a way new owners can understand. Sarah is obviously extremely knowledgeable and experienced with all breeds of dogs and clearly loves working with them. Thanks for all your help! We look forward to continuing with our the bronze training soon. Sarah has a beautiful rapport with all dogs, she brings out the very best in them, helping them to shine and feel secure. She has a vast range of knowledge and depth in her toolkit of skills. A very lovely lady who understands dogs and loves dogs and who I absolutely trust wholeheartedly with my own. All the stars awesome. When my border collie suddenly decided he didn’t like children near him I thought I only had 2 options ( as I have a child in the house) to return him to the breader or have him put to sleep but both these options were devastating to us as Hugo is a major part of our family. Then sarah was recommended to me and suddenly my 3rd option opened up. I contacted sarah and she agreed to do some 1-1 sessions with Hugo to assess his behaviour. Prior to meeting up she gave me essential advice on what we should start to implement and things to buy, she was available to me for advice and support throughout this horrible and stressful time. Our 1-1 meeting was amazing. Sarah put me at ease straight away that I did not have an aggressive dog and that we could manage the situation and keep him at home as long as certain precautions are put in place. Sarah assessed every part of Hugo’s life and daily routine from feeding, treats, walks, games etc and changed a few things, who knew you could over walk a border collie!!!!!!! We started some muzzle training which is going really well and is an essential life skill if ever needed. We have started new games to stimulate his mind and reduced his exercise and he hasn’t missed less time out walking. We have a new dog walker who Sarah recommended to us and she has built up an amazing friendship with him already. The 1-1 sessions have shown me that I don’t have an aggressive dog, just one that is nervous around children and is not comfortable around them so we keep him away from them now and if out and about Hugo wears his nervous yellow bandana and everyone keeps away!!!! We thought we was going to lose our best friend but working with Sarah and following her advice has meant we get to keep him. If you feel you have no other option with your dog try Sarah first, she really is a life saver! Amazing trainer! We have been working with Sarah for the last year to help our anxious/fearful dog. 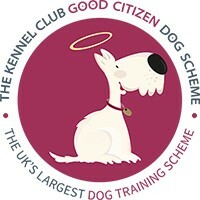 We have attended lots of different classes (puppy/bronze level/silver level/platform training), we have had 1-to-1 sessions and we are now trying Bach flower remedies too. Sarah has gone above and beyond to help us and we are seeing a huge difference in our dog! She is much happier and more relaxed and is building on all the basic training we learned in puppy class. Classes are fun, varied and personalised to each dog’s needs. I would recommend the Puppy Trainer to anyone! Would highly recommend the Puppy Trainer. Sarah has helped us so much to help our anxious pup overcome her fears. We have been to lots of different classes and have also had 1-1 sessions. Sarah is really knowledgeable and has helped us so much to understand our dog’s behavior. She has gone above and beyond to help us and really cares and understands our dog. So glad we found the Puppy Trainer. Sarah is very knowledgeable and has a calm approach to training. If you need help with your pet then taking the positive force free approach is going benefit your pet and yourself. Learning to work and communicate with your pet and have fun games to play can all be offered through Sarah. A week ago we attended our first puppy class and found it very informative. It wasn’t too busy or overwhelming. Due to missing the first week, we was given 121 time to help us catch up on what we had missed. Looking forward to the rest of the course.